IRVING, TX--(Marketwire - January 15, 2008) - VHA Inc., the national health care alliance, has hired Gail Rigler as senior vice president and chief marketing and communications officer. Rigler comes to VHA from Electronic Data Systems Corp., a leading global technology services company based in Plano, Texas, where she served as vice president of global marketing from 1999 to 2006. She managed marketing worldwide and marketing communications across all EDS regions, industries and service lines. Rigler was director of corporate marketing from 1993 to 1999, leading EDS' largest, fully integrated brand re-launch program as well as all subsequent branding initiatives. From 1990 to 1993, Rigler was division vice president over marketing and communications, responsible for growing EDS' business in the global communications industry. 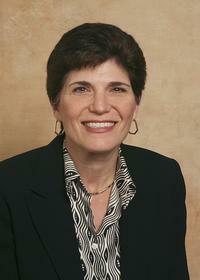 Rigler joined EDS in 1980 as a marketing analyst. "The depth of marketing wisdom and experience Gail brings to VHA after 27 years at a major Fortune 500 company will be an outstanding advantage for our organization," said Jeff Hayes, area senior vice president at VHA. "Her experience working in the services industry will help VHA as we continue to refine our sales and marketing strategies related to our existing services and future offerings in a highly competitive environment." Rigler, a Plano resident, earned a master's degree in business administration from the University of Maryland in College Park, and a bachelor's degree from State University of New York at Albany. Irving, Texas-based VHA Inc. has hired Gail Rigler, a former EDS marketing executive, as its chief marketing and communications officer.